School starts Monday! WOW! 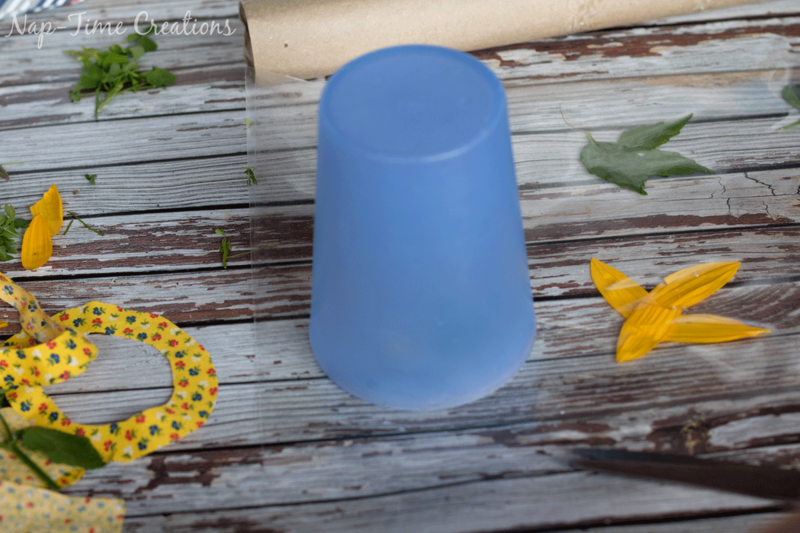 Today I’m talking about our final summer craft, back to school shopping and earning double box tops at Walmart. 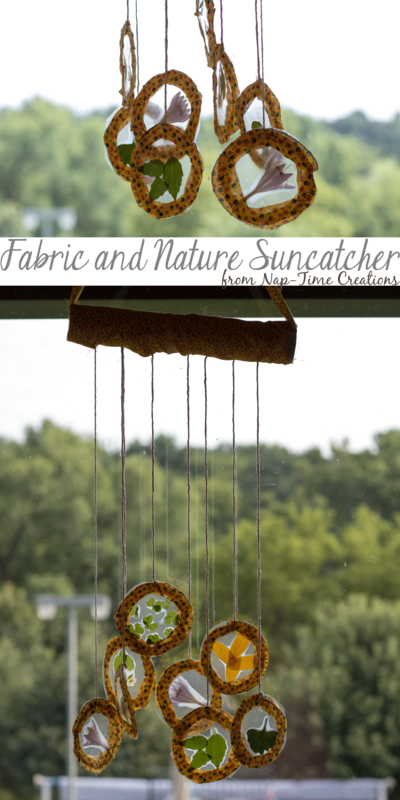 Last week we did our back to school shopping at Walmart and also make this fun fabric and nature suncatcher as a last hurrah craft before school starts Monday. Plae a large piece of contact paper sticky side up on the table. 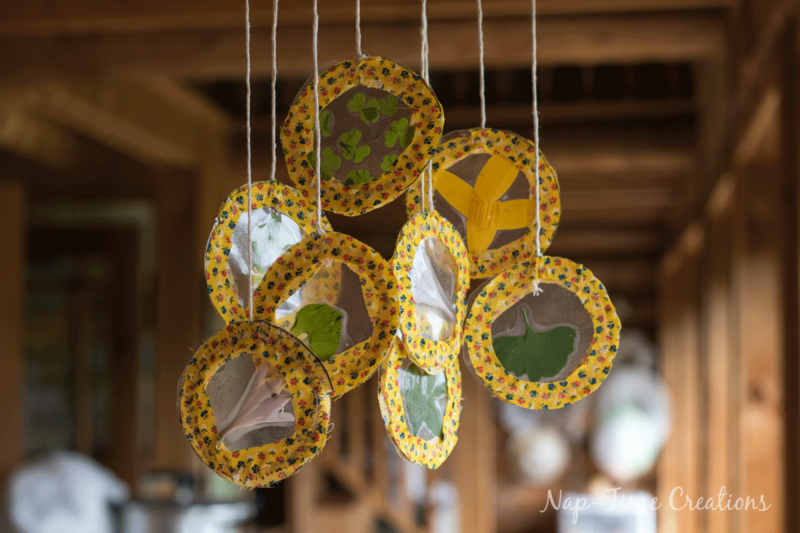 Add your nature items to the contact paper, stick them on, and leave space around to cut circles. 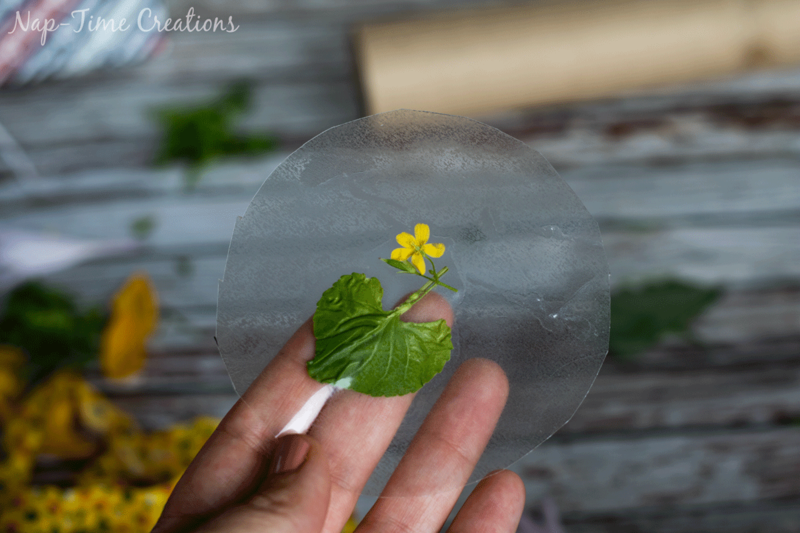 Place another piece of contact paper on top – placing the sticky sides together. Now you have your nature items sandwiched. 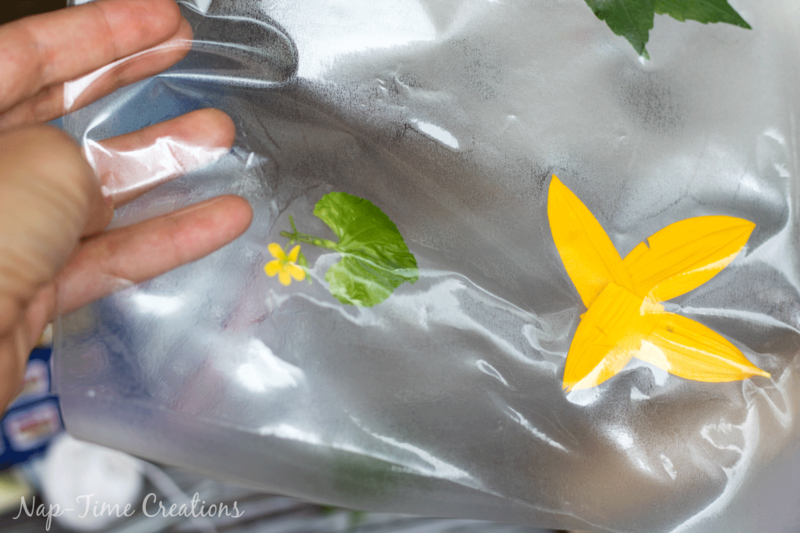 Press out the air bubbles and seal tightly. 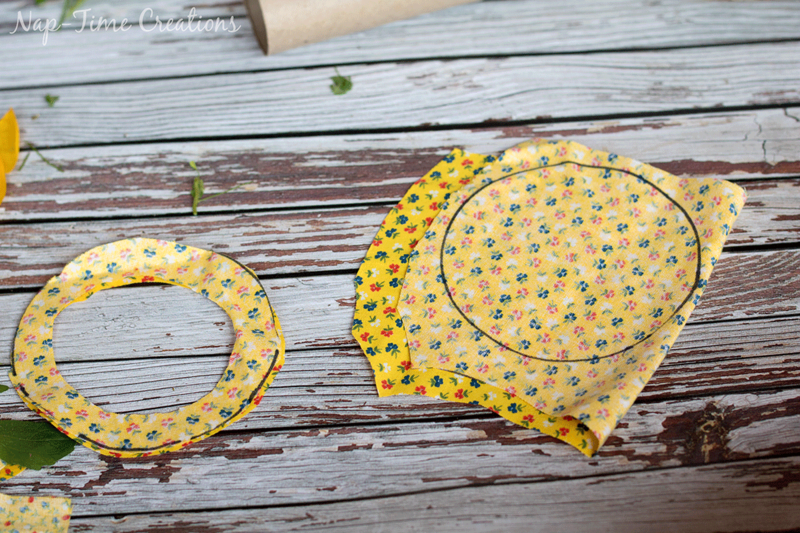 Use the same cup from the fabric circles and trace circles on the contact paper. I sewed around with a wide zig-zag stitch. I had to use a lot of pins to keep the layers from sliding. 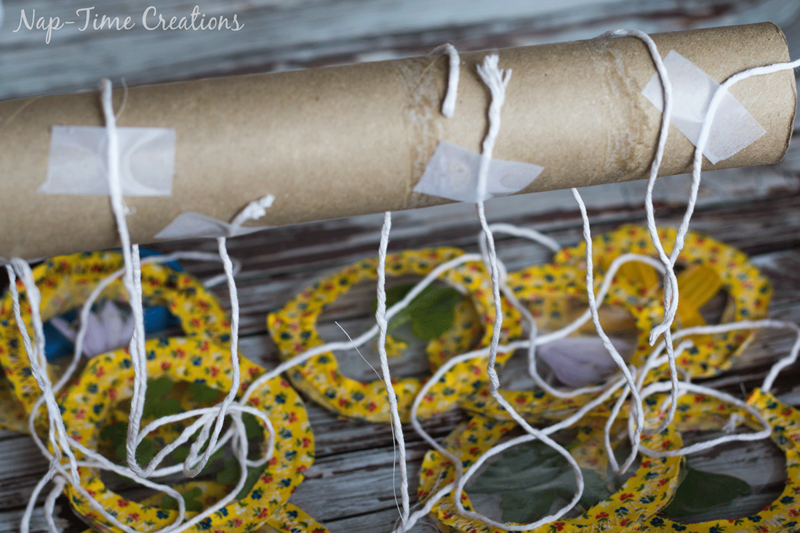 Pin each fabric circle on the string to the Viva paper towel roll. I varied the place of each string. 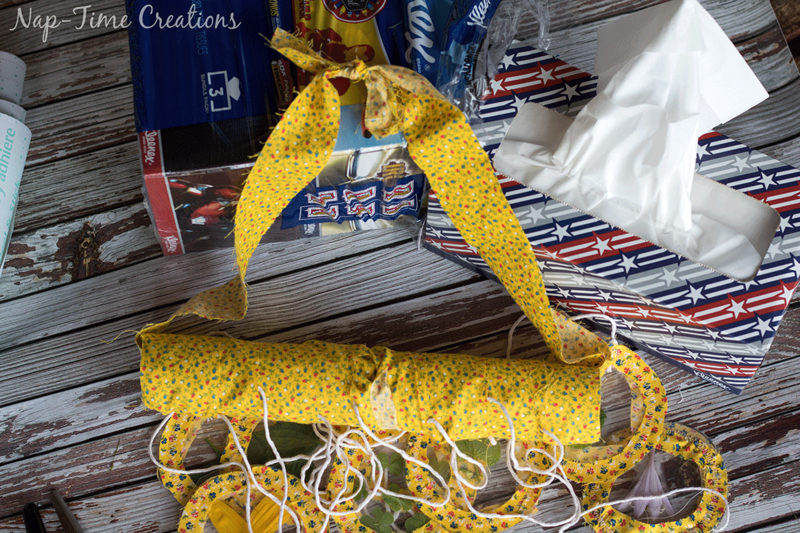 Wrap the towel roll with long strips of fabric scraps. Go around the srings and secure the ends. 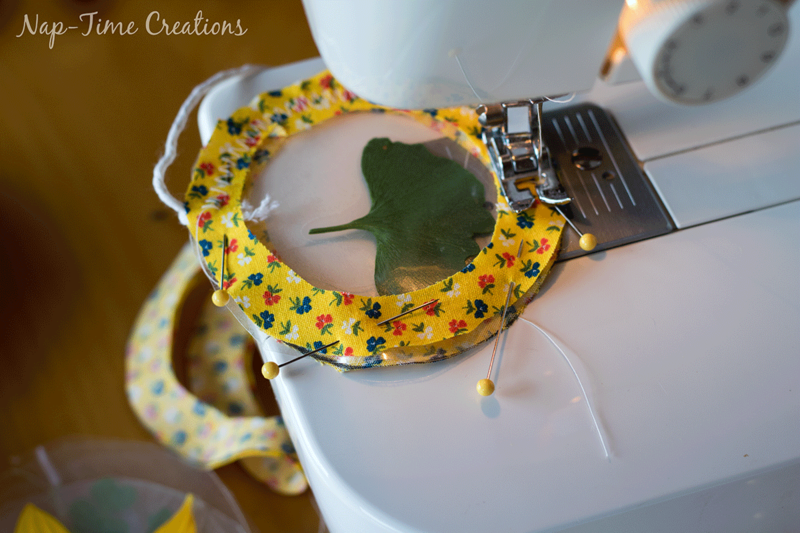 Use fabric or string for a hanger. 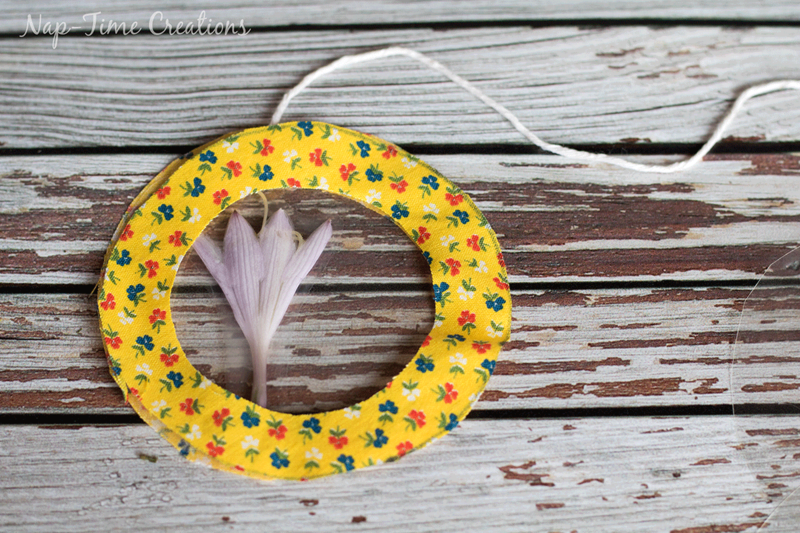 Are you doing any last minute crafting before school starts? Have you done your back to school shopping yet? 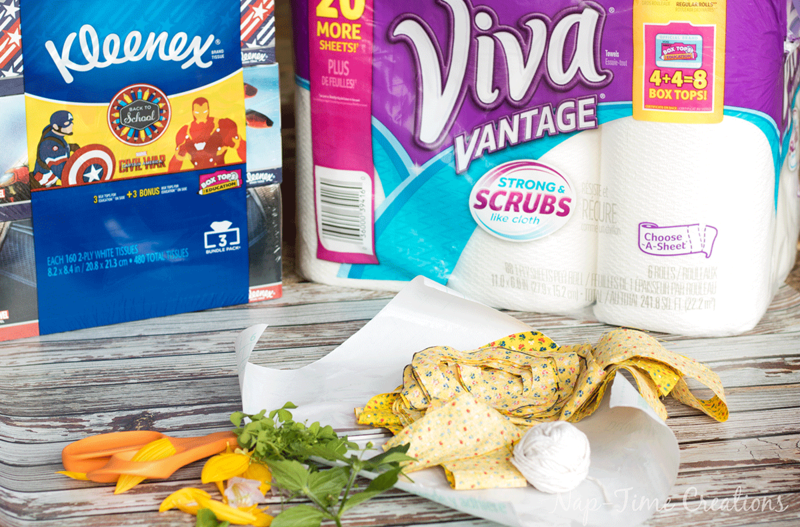 Keep Walmart and Kleenex, Viva and Scott products in mind for the Double Box Tops offer when you do! These are really cute. A great activity for children. 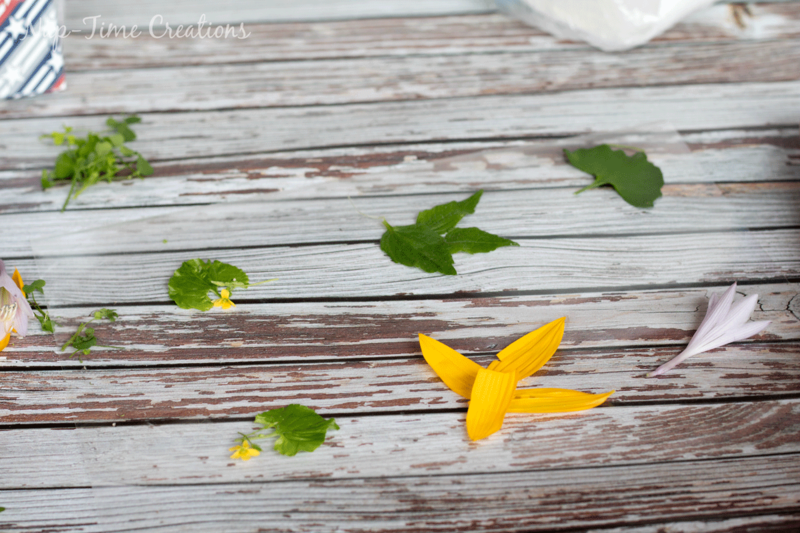 We often think of gathering leaves in the fall for children’s activities but forget about it during the summer. What a clever idea! We are collecting box tops year round for my son’s class. 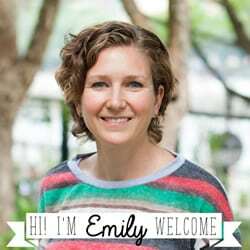 Thanks for joining the Family Joy Link Party!